The shuttered Saturn brand is quickly fading from memory, but now GM plans to bring back one former Saturn model to live on in a new incarnation. But even if you're a Saturn fan, you won't be able to buy one--unless you're a business. The compact crossover that sold for only two years as the 2008 and 2009 Saturn Vue will return to the U.S. market as the 2012 Chevrolet Captiva Sport--the name under which it's sold in Mexico, where it's built, and many other global markets as well. Saturn was sold only in North America, so when it was time to replace the Vue crossover, General Motors turned to its global lineup of vehicles and re-branded the Captiva as the Vue. Now the Captiva (nee Vue) is the solution to a happy problem faced by the new, post-bankruptcy GM: more demand for compact crossovers than it can supply. 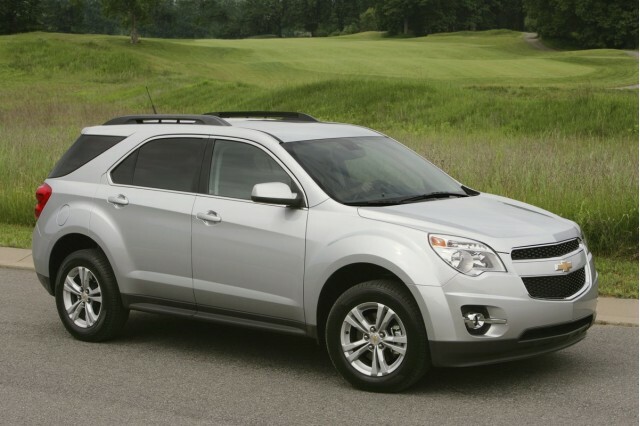 The very successful 2011 Chevrolet Equinox crossover is selling as fast as GM can build it. 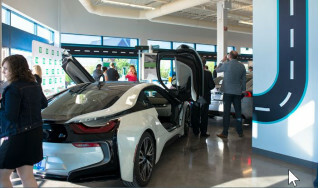 The company even squeezed extra capacity out of one Canadian plant by trucking body shells 120 miles for final assembly in a second plant, but that still can't satisfy the demand. So the company has decided that it will direct the new, stylish Equinox toward retail consumers, who are more likely to tick the boxes for profitable options and high-end luxury models. Fleet buyers--from small businesses to large corporations--who buy dozens or hundreds of small crossovers at a time will be pointed toward the older (but presumably affordable) Captiva Sport. Like the 2011 Equinox, the 2012 Captiva Sport will be offered with 2.4-liter four or a 3.0-liter V-6 engines, both direct injected and coupled to a six-speed automatic transmission. 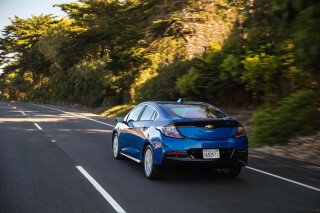 Its gas-mileage figures may equal or be slightly lower than those for the Equinox, which range from 22 mpg city, 32 mpg highway for the four to 16 mpg city, 22 mpg highway for the V-6 model fitted with all-wheel-drive. Three trim levels are planned, following the Chevy practice of LS, LT, and LTZ. Both LT models come with the V-6 as standard equipment. 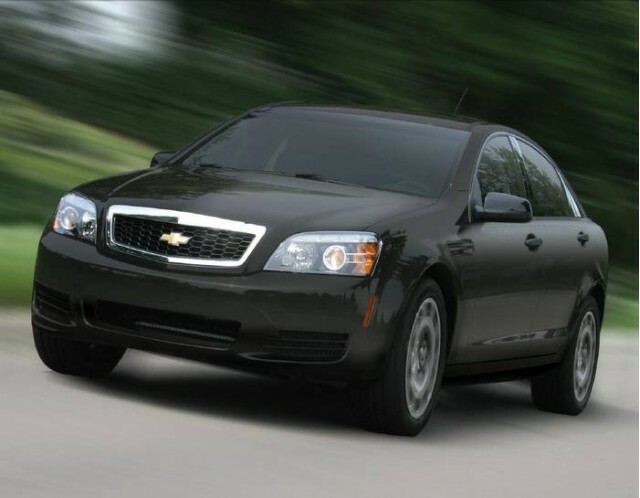 The LTZ model includes all-wheel-drive, as well as leather trim and a 10-speaker sound system. Pretty nice for a fleet car, hmmm? It's a smart move by GM, frankly. The Captiva is roughly the same size as the Equinox, there's spare capacity in the Ramos Arizpe, Mexico, plant where it's built for Latin and South American makrets--and the development work had already been done to enable the former Saturn Vue to meet U.S. safety and emissions regulations. 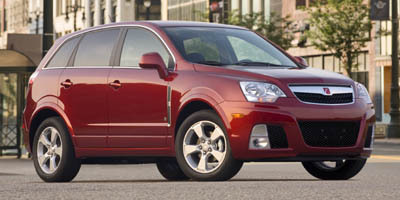 But the 2012 Captiva Sport will only be offered to fleet buyers at selected Chevrolet dealers. Actual civilian retail buyers won't be able to order it. Want to drive a Captiva Sport yourself? Make friends with your local airport rental-lot manufacturer. In the last decade, automakers have offered a handful of models offered only to fleet buyers. 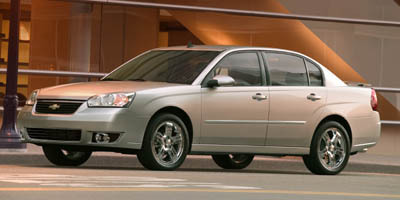 Chevrolet itself kept the 1997-2003 Malibu in production as the "Chevrolet Classic" during 2004 and 2005, for rental-car companies and other buyers, after it was replaced for 2004 with a redesigned model. And it briefly did the same with the 2007 Malibu after it was replaced by an all-new 2008 model. But perhaps the best-known fleet vehicle is the ancient Ford Crown Victoria, the ubiquitous full-size sedan beloved of taxi cab owners, police forces, and other fleet buyers across the country. Last redesigned in 1998, the Ford Crown Victoria has been sold as a fleet-only vehicle since 2008. Until the closure of Mercury last year, retail buyers could get essentially the same car as a Mercury Grand Marquis. But now, the Crown Vic will live out the rest of its limited lifespan being sold only in bulk to commercial operators. To fill that gap, Chevy will offer a second fleet-only model, the Caprice rear-wheel drive sedan built in Australia and closely related to the also-discontinued Pontiac G8 sports sedan. 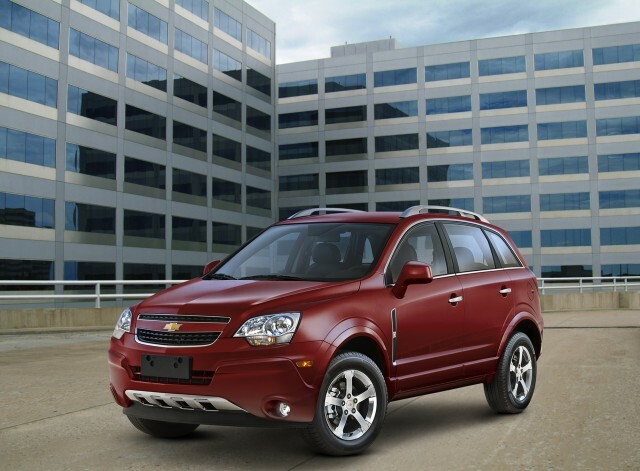 The 2012 Chevrolet Captiva Sport goes on sale to fleet buyers in the fourth quarter of this year. Pricing hasn't been announced. Should I Buy a Car From a Dead Brand?